Alice 'Ali' Bell thinks the worst is behind her. 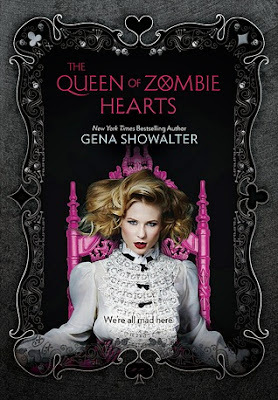 She's ready to take the next step with boyfriend Cole Holland, the leader of the zombie slayers; until Anima Industries, the agency controlling the zombies, launches a sneak attack, killing four of her friends. It's then she realizes that humans can be more dangerous than monsters; and the worst has only begun. I'm super excited for this book! loving this series. I don't think zombie's are quite my thing, but this does sound like it will be a suspenseful read! Thanks for sharing :) I hope you manage to get a copy! Love the sound of this! I love a good zombie story :) Thanks for sharing and happy reading! Here is my WOW!